From how easy it is to get on the bike to how it adjusts to fit your body, The Horizon Comfort R Recumbent Bike is packed with unique features designed to deliver the most comfortable cycling experience.The large seat and ergonomic handlebar make the Comfort R feel great no matter how long you ride, and the integrated transport handle makes it easy to move and store your bike when you’re finished. 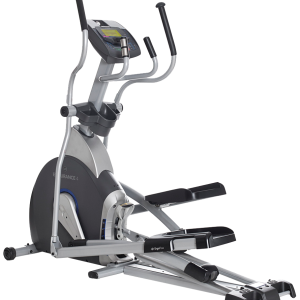 The Horizon Comfort R Recumbent Bike features a step-through frame, a cushioned seat with lumbar support, and a smooth magnetic resistance system. 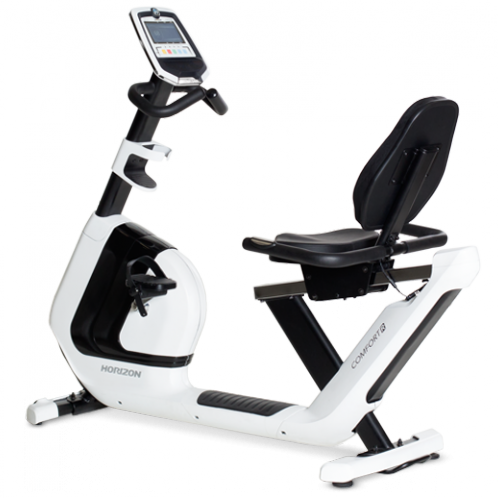 The Horizon Comfort R Recumbent Bike has 12 program modes, a wireless heart rate receiver and speakers for an MP3 player. It’s also equipped with a reading rack and water bottle holder. 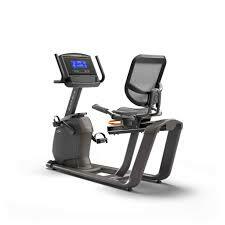 Adjustable Seat: The Horizon Comfort R Recumbent Bike has an adjustable seat to fit a wide range of riders. It has a high back rest that provides good lumbar support and lets air flow through to keep the rider cool. Handgrips are next to the seat to provide extra stability. Two Sets of Handlebars: The Comfort R has handlebars on the console and alongside the seat. This helps most people find a comfortable position and also helps with stability during rides and when getting on/off of the machine. 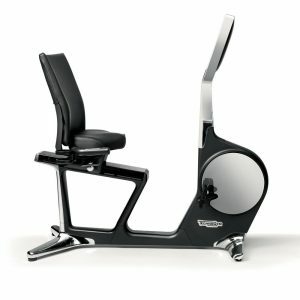 Workout Programs: 12 workout programs are built into the bike. Besides manual mode and custom programs, the diverse options are Intervals, Game, Weight Loss, Rolling, Cadence, Random, Constant Watts and Target Heart Rate Zone. Heart Rate Monitors: This bike can track heart rate with a wireless receiver or contact grips. The wireless chest strap is not included. Console Data: Data shown are time, distance, calories, speed, RPM, resistance level, heart rate, calories and watts. The unique Cardio Compass Display shows heart rate on a circular graph to quickly convey exertion level. Smooth Resistance: A magnetic resistance system provides 16 tension levels. These are adjusted electronically. Because the changes are frictionless, the transitions feel smooth and the bike is able to run very quietly. Sturdy Frame: This bike has a steel frame that’s under lifetime residential warranty. The Comfort R’s maximum user weight capacity is 300 pounds. Extras: Extra features on this unit include MP3-compatible speakers, a reading rack and a bottle holder. Energy Saver Mode: The Horizon Comfort R will automatically reduce its power draw when not in use. 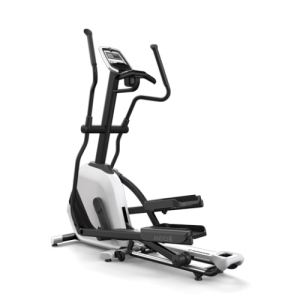 User Weight Capacity: 136 kg / 300 lbs.